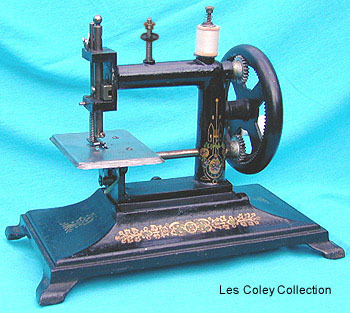 Toy sewing machine - French "Baby". Made by Robert Wybo, this French cast iron toy is just one of many similar variants given the name of "Baby". Of substantial construction, this early toy produces a simple chain stitch.